The Alexis Creek RCMP are seeking the public's help in locating a man last seen in Alexis Creek, BC, over five years ago. Joseph Edward PURDY, also known as Joe PURDY, has not been seen since March 30, 2003. PURDY, now 58 years old, was last seen at his residence on the Anaham Reserve near Alexis Creek. Previous media releases have been done around the time of his disappearance, however no photo has been obtained until now. PURDY was originally from the east coast, but came out to BC to begin a new life. He is skilled in both electrical and mechanical type jobs. PURDY was known to take hunting trips on foot for multiple days. He is in fair health and does not have any known conditions or illnesses, but he is known to be a heavy smoker. It would not be unusual for PURDY to leave the area and move on to another. There has been no evidence of foul play or that PURDY wanted to harm himself. The Squires family is very concerned and would like anyone who has information regarding Squires' whereabouts to please contact Lisims/Nass Valley RCMP at 250-633-2222. Mansura Chaudhry is pleading for her son -- 25-year-old Asim has been missing for a year -- to get in touch. The day Asim Chaudhry vanished a year ago, he packed his bag with clothes and left the textbook he was supposed to be studying on the dining room table. "This kind of baffles me, too," his mom, Mansura Chaudhry, 53, said Thursday as she made an appeal for her son to come home. "Everything can be worked out," she said. "All the stresses in life or anything moral or legal -- anything like that can be dealt with. It's not worth it. Life is too short." Chaudhry, who was 24 when he went missing, hasn't been seen since last July 20 when he got on a SkyTrain at Production Way station. "His friend took the SkyTrain from Production Way to New West and Asim boarded the SkyTrain, too," his mom said. Earlier that day, he had written a short e-mail to a good friend saying he appreciated the friend's support and looked up to him, Mansura recalled. He told an older brother that he was going to Simon Fraser University that day. Chaudhry spent a lot of time at the school studying for a statistics course and working out at the gym. In the days after Chaudhry's disappearance, family and friends made desperate calls to his cellphone, pleading with him to let them know he was safe. "Everybody left messages -- nothing," Mansura said. Mansura and her husband were going through a separation when Chaudhry disappeared, which Mansura acknowledges may have had an impact on her son. "He did have some difficulties," she said. Chaudhry graduated from Simon Fraser University in 2007 with a bachelor's degree in political science, but had not found work. "He didn't have anything. 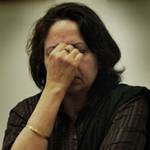 That might have stressed him out," Mansura said. "Last year, he was talking about going to Korea for teaching, but that didn't pan out." In the months before he disappeared, Chaudhry was reading "tons and tons of books," Mansura said. "But the last book he was reading was a handbook on pessimism and that scared me a lot," she said. When she confronted him, he brushed it off as nothing more than reading material. The RCMP continues to investigate the disappearance. Burnaby RCMP are requesting the Publics’ assistance in locating the following male. 24 year old Asim CHAUDHRY was last seen by his family on July 20, 2007 at approximately 2:00 pm. He was apparently going to study for an upcoming exam at the Simon Fraser University Library. His family/friends and acquaintances have not seen or heard from him and have no idea as to where he may be. They are very concerned for his well-being. Asim CHAUDHRY spends much of his time either at the University or at home. -black short curly hair and a beard. - Last seen wearing dark grey sweatpants. If you have seen Asim, or have any idea as to where he may be, please contact the Burnaby RCMP at 604-294-7922, or your local police detachment, or Crime Stoppers at 1-800-222-TIPS. On May 27, 2008 the Fraser Lake RCMP began an investigation into the disappearance of Brian Cretney, 59 years old, from Prince George, BC. Cretney was dropped off at Knapp Lake Forest Service Road, south of Fraser Lake, on or about May 13, 2008. He was planning to hike into Knapp Lake from the road. Cretney had a large black hockey bag with food for a couple days and planned on returning to Prince George before the May long weekend. He has not been seen since. After several inquiries and searches, no new information has turned up on the whereabouts of Cretney. The Fraser Lake RCMP has released a photo of Cretney in an effort to obtain new information regarding his where-a-bouts. The photo is from 2004. 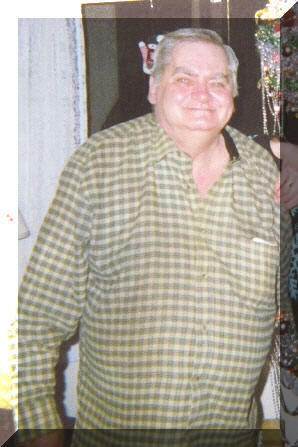 He is described as having long grey hair with red overtones, 5' 5'' tall, 220 lbs and wearing large tinted glasses. If you have any information about the where-a-bouts of Brain Cretney, please contact the Fraser Lake RCMP at (250)699-7777 or anonymously call Crimestoppers at (800)222-TIPS. Vancouver Sun Surrey RCMP are asking for the public's help in finding a 44-year-old woman who has alarmed her family by dropping out of contact since she left for a camping trip nearly a month ago. Darlene Battistolo left her Surrey home on June 22, telling her daughter she was going to visit her own mother in Oliver and go camping with a friend, police said. Apart from a few text messages and some cellphone tower hits indicating she might be in Lillooet, then Cranbrook, Battistolo hasn't been heard from since. She never showed up in Oliver. Surrey RCMP spokesman Sgt. Roger Morrow said police only appeal to the public for help in missing persons cases when the situation becomes desperate. "We deal with about 2,200 missing people a year," he said. "That's about six a day. We don't actually do this often." Battistolo hasn't used her bank account since she left, Morrow said, and was only carrying $500. "She's got multiple sclerosis and we don't know if she's taking her [medication]," he said. "We don't know if she has any medication left." Battistolo's daughter said the family has been coping with shock and stress over the past month. "We've lost a lot of sleep. This is completely out of her character for her," said Melissa Battistolo, 24. "She hasn't done anything like this before. She just abandoned her family." Battistolo had recently split from her boyfriend of five years, Morrow said, but police don't think he is involved in her disappearance in any way. "She did send her family some concerning text messages," he said. The breakup did have an emotional effect on her mother, Melissa said, but she never expected anything like this to happen. "To everyone, she appeared fine and rational," she said. Her mother may be camping alone in a rural area, Melissa said, because she took all of the family's camping gear. Morrow said Battistolo can call any police department in Canada to let them know she's safe. Battistolo is Caucasian, with long brown hair and hazel eyes. She is five foot three inches tall and weighs about 110 pounds. She left driving a 1993 black Honda Civic with licence plate number 932 FLH. Anyone with information about her whereabouts is asked to contact the Surrey RCMP missing persons unit at 604-599-0502. A search is underway for a Chinese teenager, who vanished just hours after arriving in Vancouver, Sunday. Sixteen-year-old Guowen Weng arrived early Sunday afternoon in preparation for a two week summer school course. He went for a walk in east Vancouver at around 8.30 p.m. last night and has not been seen since. He speaks no English and Vancouver police say anyone who spots him should stay with him until police get there. "There is nothing that leads us to believe that anything bad has happened to him,'' said Vancouver Police Department Const. Tim Fanning. Fanning said the student took his belongings, including a cell phone, with him. He is described as about 5ft. 3 ins. tall, and sporting black, spiky hair. The Chilliwack RCMP are asking for the public’s help in locating a missing person. Paul David Garcia (Date of Birth: November 6th, 1968) has not been seen by his family since the spring of 1997. 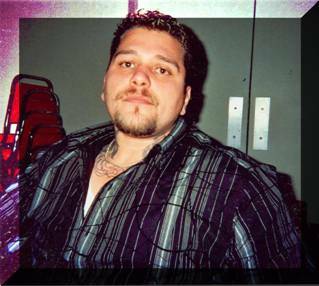 Paul Garcia was reported missing to the Chilliwack RCMP in 2003 and investigators have been unable to locate him, or any possible current whereabouts. Paul Garcia’s family believes he may be living on the streets in Vancouver and want him to make contact with them. Paul Garcia’s last known address was unit 207 of 9260 Young Road, Chilliwack BC (The Empress Hotel). Paul Garcia possibly left Chilliwack in 1997 and at that time may have been heading to Vancouver to find work. He has had no known police contact since 1997 and has made no contact with family. Jasmine Johnson rented a car, the car was found mid span on the Lions Gate Brige. Jasmine has never been found. One year and eight months after Duncan teen Desmond Peter went missing, his family is again pleading for his return, and there is now a $20,000 reward for information leading to his whereabouts. 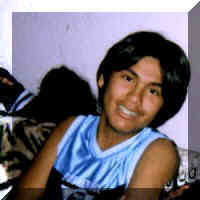 Peter, who will turn 16 years old on Nov. 15, has not been seen since March 12, 2007. "I love you son, I just want you home," pleaded his mom Elizabeth Louie during a press conference Monday at noon. Desmond's mother Elizabeth Louie shows a photo collage of her son's younger years. "I miss you so much. All I want is you home. There is nothing that we can't work through. I just want you home. I'm not mad at you, I love you, you mean the whole world to me and my world is falling apart without you," she said. "All I need is you to come home and then everything will feel complete." North Cowichan/ Duncan RCMP investigators, with the assistance of the Missing Children Society of Canada, have conducted an extensive investigation into his disappearance. "Desmond's family remains desperate to find out any information about his whereabouts to make sure that he is safe and they are looking for some contact with him," said Cst. Darren Lagan. Interviews with the boy's family, friends and associates have sustained no real leads. "I think to say that we've had little to no concrete evidence would be right on the money," admitted Lagan. But Peter's family isn't giving up. "We all really miss you and it's been really hard watching our house fall apart," said Donna Louie, the boy's grandmother. "It's hard and we want you to know that the door is always open. Please call and let us know that you are okay. That's what we need to know. We need to know that you're safe." But for whatever reason, it appears Peter may not want to be found -- perhaps going so far as to use an alias. "I want to make it very clear that Desmond is not in trouble with the police," said Lagan. "He has no reason to fear the police or fear that the police know where he is." Being a minor, RCMP officers are just looking to ensure Peter is fed, clothed and sheltered sufficiently. "We also need to give closure to the family," said Lagan. "Something that will help them beyond the state they've had for the last one year and eight months, which is not knowing where Desmond is, and if Desmond is safe." Cowichan Tribes Chief Lydia Hwitsum wants the greater community to offer its full support. "I wanted to take the opportunity to plead with the First Nations community, the boriginal community to come forward with any information at all, just to ensure that Desmond is safe and to bring some relief to his family," she said at the press conference. "Your family loves you and they are making extraordinary efforts to try and find you and to ensure that you're safe." To encourage public support, and to bring forth information needed by Peter's family, the Missing Children Society of Canada is offering a $10,000 reward for information leading to the whereabouts of Desmond, said Lagan. A private reward of $10,000 is also being considered. Anyone with information on the whereabouts of Desmond Peter is urged to contact the North Cowichan/Duncan RCMP at (250) 748-5522, CrimeStoppers at 1-800-222-TIPS (8477) or the Missing Children Society of Canada at 1-800-661-6160. Or for Desmond, just call home, a friend or somebody else you trust that can relay to your family that you are safe. North Cowichan/Duncan - Have You Seen Desmond Peter? Duncan, B.C. - Since March 12th, 2007, North Cowichan/Duncan RCMP investigators, with the assistance of the Missing Children Society of Canada, have conducted an extensive investigation into the disappearance of Desmond Peter. Desmond was 14 years old when he was last seen by his family. Now 16, Desmond’s family is desperate to know his whereabouts. Many interviews with Desmond’s family, friends and associates have been conducted, resulting in little information being gained to direct police to the location of Desmond. Law enforcement partners across Vancouver Island and beyond, have been engaged in this investigation, and despite extensive ground-level investigational work, no new information has been uncovered. Police once again seek the public’s assistance in this investigation. To encourage public support, and to bring forth information needed by Desmond’s family, the Missing Children Society of Canada is offering a $10,000 reward for information leading to the whereabouts of Desmond Peter (conditions apply). Anyone with information on the whereabouts of Desmond Peter is urged to contact the North Cowichan/Duncan RCMP at (250)748-5522, or the Missing Children Society of Canada at 1-800-661-6160. A poster is available for distribution. Adobe Reader is required to view and print this poster. DUNCAN - A Duncan mother is hoping you will help grant her Christmas wish. Her teenage son has been missing for several months. The 15-year-old was last seen by his family in March. Since then -- Desmond Peter has been spotted in a number of island communities but his mother is hoping he will return to his own community and come home for the holidays. At a press conference held at the Duncan RCMP detachment, Desmond's family spoke to the media today - to try and get the public's assistance in locating the 15 year old. He’s described as a 15 year old first nations male, 5’10, medium build with brown eyes and dark brown hair. He has some facial stubble and was last seen wearing dark colored pants and a dark coloured hoodie. Police say the last unconfirmed sighting was in this Duncan parking lot between Lordco and Wal-Mart. Now the family has offered a one thousand dollar reward for information on Desmond's whereabouts. Vancouver Police are asking for the public’s assistance in locating a missing 79 year old man who only speaks Cantonese. The family of Tian You LI called police today to say that he has not been seen since 2:00 p.m. on Wednesday, June 11th when he left the family home in the 2700 block of East Georgia Street. He suffers from Alzheimers and may be confused or disoriented. He has other medical conditions that need attention, as well. Mr. Li is Asian, 5’4” tall, 130 lbs., with grey hair and brown eyes. He was last seen wearing a grey, short coat, light blue suit pants, a white t-shirt and white shoes. He was carrying a black umbrella and he has a white, big-brimmed ball cap. Mr. Li went missing in August 2006 and was located two days later in Stanley Park. He likes to take the bus to Chinatown. On June 1st, 2010, members of the RCMP North District Serious Crimes Unit arrested a 100 Mile House resident in connection with the murder of 37 yr old Dennis CORNISH. Mr. CORNISH had been reported missing from the 100 Mile House area in May of 2008. The police investigation revealed that CORNISH had been missing since February 2008, and that his disappearance was suspicious. Darin Andrew RANDLE also of 100 Mile House has been charged with the offence of performing an indignity to the human remains of Dennis CORNISH. Randle has a first appearance date set for early July of 2010, at the 100 Mile House Provincial Court. The arrest was a result of an extensive two year investigation conducted by the RCMP E Division North District Major Crimes Unit, the 100 Mile House Detachment, and several other RCMP support units. “RCMP investigators would like to thank the public for their assistance in this investigation, in which it contributed to the small degree solace being afforded to the Cornish family with the advancement of the case” added Cpl Dan Moskaluk. Feb. 22 marked one year since Dennis Cornish went missing, when he was last seen purchasing fuel for his light brown/tan 1995 GMC pick-up truck at Race Trac gas at the 108. Cornish lived in the 108 Mile area for two years before planning to return to his home-province of Alberta in the beginning of 2008. Despite pleas from family and friends, there is still little known about what happened to Cornish. His parents, Janette and Dennis, made the trip from Calgary to 100 Mile House back in June, handing out flyers, checking in with the RCMP and speaking with the Free Press. Since his disappearance, 629 members have joined the Facebook group, showing high interest in the case. Cpl. Lorne Wood is heading the Cornish case, which he says is progressing. He reminds those with information to contact the North District RCMP Major Crimes Unit or Crime Stoppers. It is now a year since our son, Dennis went missing. We know he is no longer with us. That is the focus of the RCMP investigation. Our family does not know how and why he died. The most important thing for us is finding his body. Not a day goes by that we don’t think of him. We can’t find peace and move on until we have his remains and give him a proper burial. We are open to all suggestions as to where Dennis might be. If you have any leads contact our family friend Ken at kenmont@telusplanet.net or the RCMP. RCMP in 100 Mile House BC are continuing to seek the public's help in locating Dennis Cornish, 37 years, formerly residing in the 100 Mile House area. Mr. Cornish was last seen on February 22nd, 2008 purchasing gas at the Race Trac gas station on highway 97 at the entrance to the 108 Mile Ranch subdivision. His truck was found in 100 Mile House, a brown 1995 GMC pickup, BC licence plate *3528 LE*. Cornish is described as 5' 7" tall, 164 Lbs, with short brown hair and hazel eyes. He has not been in contact with friends or family. Williams Lake BC - Camilo is an American Citizen and his family who lives in the USA is worried about him. On January 31 2008, Camilo SLUSHER (age 30) was reported missing by a friend in the Williams Lake area. SLUSHER, an American citizen, had left Williams Lake on January 24, 2008, to return to the USA. He contacted his friend in Williams Lake advising he was on his way back on January 29, 2008. Nothing further has been heard from SLUSHER since. His family in the USA is very worried as they have not heard from him since June 2007. If you have seen SLUSHER or know of his whereabouts, please call Crime Stoppers or Cst. MEIKLE of the Williams Lake RCMP at 250-392-6211. LANGLEY: Langley RCMP are asking for the assistance of the public to locate a missing 41 year old female. Wendy Lee RICHARDS was last seen in Langley on October 9th, 2008. Friends and family have not heard from her since that time which is not consistent with her normal behaviour. RICHARDS recently successfully completed a sixty day recovery program for addiction issues. She was attempting to secure accommodations in New Westminster. In the past, RICHARDS has been known to disappear for short periods of time, however never longer than five to seven days. RICHARDS is described as 41 years old, blond short hair, blue eyes, 5’0” tall, 111 lbs. She could be wearing eyeglasses. Anyone with information that would assist in locating Wendy RICHARDS, is asked to call Langley RCMP at 604-532-3200. Dennis Robertson is still missing from Burnaby, B.C. A photo of Robertson has now been obtained. Please click here to view. The original information provided to investigator's indicated that Robertson was approximately 172 lbs. As the photo shows he is likely over 225 lbs. As well, Robertson is 61 years old, not 51 as previously stated. There is continued concern for Robertson and his well being. Aside from the locations detailed below it is not known of any other areas Robertson frequented. If anyone even has information such as that, or Robertson's whereabouts they are asked to contact the Burnaby RCMP at 604-294-7922.
contact the Burnaby RCMP at 604-294-7922. On Thursday, August 14, 2008, Burnaby RCMP received a call from a family member of 16 year old Cynthia KOLLIE advising that she had gone missing from home. 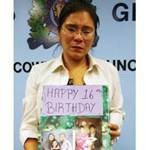 Cynthia has not been seen by her family since mid-July, but others who know Cynthia have seen her as recently as August 7, 2008, in Burnaby. It is unknown what clothing Cynthia may be wearing. It is believed that Cynthia does not have a cellphone and it is unknown if she is in the company of any friends. Checks so far have been negative. Cynthia KOLLIE is 16 years old, 5 feet 3 inches in height with a slim build. She has straight black hair, brown eyes, and a dark complexion. The Lytton RCMP are asking for the public's assistance in locating a 33 year old female who has been reported as missing. Patricia was last seen wearing a long dark purple skirt with a flower pattern, a blue fleece zip up coat, brown slip on sandals, white socks, and metallic red framed prescription glasses. Patricia may be carrying a small blue or black colored Bible. All inquiries to date with family and friends have been negative. The RCMP and Patricia's family and friends are concerned for well-being and are asking anyone who may have any information that may assist the police in locating Patricia to please call Lytton RCMP at (250)455-2225 or 911. Boston Bar - Missing person last seen in April of 2008. 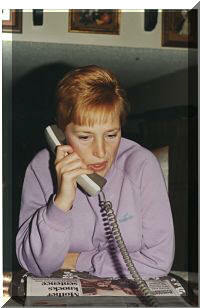 Esther DEKEIWIT was reported missing to the Boston Bar RCMP on August 26th, 2008. The police investigation into this incident has revealed that she is believed to have been last seen in Boston Bar, BC in and around April 15th, 2008. Police are now seeking the public’s help in locating Esther Dekeiwit. Esther survives off of very little or no money. She spends most of her time hiking in the mountainous areas between Boston Bar and Lillooet BC and survives mostly off of the land. She is a very private person who may appear malnourished and as a result has a very poor complexion and unhealthy teeth. She is known to be very religious, and is somewhat transient and obtains transportation by hitchhiking. Esther Dekeiwit is described as a 60 year old Caucasian female, 5'8" in height, 120 lbs, with short sandy graying hair and green eyes. She may spell her first name with or without an h, Esther or Ester , and normally dresses all in black. Distinguishing Marks: Pock Marks and/or scars on her face and decaying teeth. A small scar in the center of her forehead at the hairline, and a single vaccination scar (size of a dime) on her left upper arm. Anyone who may have seen Esther Dekeiwit, or anyone matching her description is asked to contact the Constable Todd Gatto at the Boston Bar RCMP, any police agency in your jurisdiction, or Crime Stoppers at 1-800-222-TIPS. Anyone who normally travels back country areas between Boston Bar and Lillooet BC are ask to take special note to be on the look out for Dekeiwit. Please see the attached photo taken in 1990. There are no known recent photo’s of Dekeiwit. Kelowna, BC: On January 9th, 2006, then 26-year-old Michael James Bosma was last seen by staff at a local transition house during the evening of January 9th, when he left at approximately 9:00pm. This transition house was his residence at the time. His last known movements were sometime during January 10th at the Chevron Gas Station on the corner of Pandosy Street and Harvey Avenue. Since that time, Police have received few tips, all of which were followed up without success. To coincide with this somber anniversary, Police are now asking the Public to come forward if they can recall anything at all in relation to Michael Bosma’s whereabouts during that time period in January of 2006. Understandably, Michael’s parents are seeking answers in their son’s disappearance and miss him very much. Michael Bosma, at the time of his disappearance, was described as a Caucasian male, 6"1, 270 lbs, with dirty blond hair, blue eyes, wearing glasses. Anyone with any information about Michael’s whereabouts are asked to contact the Kelowna RCMP at (250)762-3300 or CrimeStoppers at 1-800-222-8477. Mike Bosma has been missing since Monday January 9, 2006, and his parents are worried. Mike is 25 years old, 6'1", 270 pounds, with dirty blonde hair and glasses. He was last seen wearing blue jeans and a black down filled jacket. Mike, 25 suffers from schizophrenia. He was recently hospitalized, and since then was staying at a local transition house. Mike hasn't had medication since he went missing, and his father, John Bosma says "he will be very confused - disoriented and confused, not violent or anything like that." He was last known to be in Jammer's Cold Beer and Liquor Store on Highway 97 sometime Tuesday where he used a debit card. If you have seen Mike Bosma, call 470-3872, or Kelowna RCMP. Our hearts are aching for Len and Anneke Scholte's (my sister's) grandson who went missing on Jan. 9th. He does have a mental problem, but this is totally out of his character. He walked away from his care home at 9:30 PM and has not been seen since. He has no ID as he left his room as if he would return soon. This is now 3 weeks and after intensive searches of the rivers by divers and helicopters etc. in Kelowna, no sign of life. His parents are in turmoil as my whole family is. He has not used his bank card since the 10th. Every day he’s gone, Michael Bosma’s condition will get worse. Every day he’s gone brings him more confusion and disorientation. Every day he’s gone wears on family who miss him so. John and Wendy Bosma told reporters Thursday that they believe their 26-year-old son could be just about anywhere. He has been missing since he walked out of a transition home for people with mental disorders on Monday, Jan. 9. The 6-foot-one, 270-lb man suffers from schizophrenia and is coming off a break down. Without his medication, his parents can only guess at his current condition. “He will be confused, disoriented,” Wendy said. He wouldn’t hurt himself or others, she says, but schizophrenia is a thought-disorder that could lead him into any situation. He was diagnosed at age 19, but at times since then Bosma has led a very regular life. He has friends, had his own apartment and even attended college for a time. The stresses of exams last fall led to a break down that landed him in hospital. He was staying at Coral House when he walked out around 9 a.m. He was due for his medication at 11:30 p.m. but never showed up. No one from the home contacted the Bosma’s until the following morning. “I was surprised by that,” Wendy said. He removed some money from a bank account at a Chevron station at Pandosy Street and Harvey Avenue Tuesday morning but from there seems to have vanished with very little cash and no identification. Police have issued a Canada-wide warrant for his detention under a mental health warrant. At first, Wendy figured he might be at the mall, where it is warm. She thought maybe a movie theatre or Internet cafe or sipping a coffee at Tim Horton’s, his favourite. She has even gotten tips from some people but none of them have panned out. He’s hitch-hiked in the past, and he’s clean cut so perhaps someone gave him a ride. The Bosma’s have to rely on people who might have seen him because it’s less likely that he will see the dozens of missing person notices, newspaper articles or radio and television messages. “Mike, come home,” Wendy says. Have you seen this man? Debra Dorey and her family certainly hope so. Dorey’s husband Patrick Ratto has been missing since July 25. Ratto left his job at Teradici, a tech business in Burnaby, on the afternoon of July 25 and has not been seen or heard from since. The couple lived in Gibsons for a little over three years, moving to Burnaby in 2004 due to work commitments. The couple had plans to return to the Coast one day, which is why Dorey figures Ratto may be or may have been on the Coast. “We know he took out $60 from the ATM on July 25. He didn’t have much more money than that, and none of his credit cards have been used,” she said during an interview with Coast Reporter last Friday while on the Coast. To that end, Dorey has received assistance from BC Ferries that plans to distribute missing persons posters to all their staff and on all their vessels. Dorey said Ratto’s disappearance is puzzling, as it is totally out of character for him. Given the time that has passed, Dorey has come to the conclusion that he is probably dead, but she said family and friends need to find out what happened to provide some closure. “It’s very hard to move forward. We need to resolve this so we can move on,” she said. Ratto, age 43, is 6’2”, weighs 175 pounds with brown hair and blue eyes. He was wearing a removable black splint after he was injured while on a motorcycling excursion a short while before his disappearance. When he went missing, he was wearing jeans, a beige T-shirt, sunglasses and white running shoes and carrying a black backpack and black jacket with white markings. If you have any information or think you may have seen Ratto, call Burnaby RCMP Cpl. Scott Baker at 1-604-294-7827 or Sunshine Coast RCMP at 604-885-2266. Backpack, Black and White Windbreaker. Patrick left work at 1:30pm on July 25, 2006. He may have taken a bus into the U.S. from British Columbia. Patrick had limited funds with him. Vancouver, British Columbia – Over 15 years ago a young Vancouver Island girl disappeared without a trace. On her 30th birthday RCMP investigators are once again asking for the public’s help to locate her. 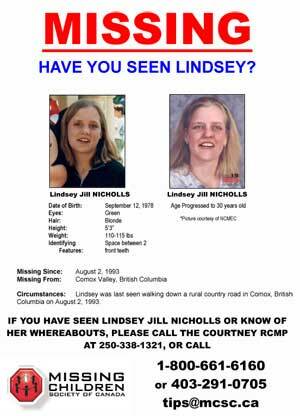 On August 2, 1993 Lindsey Nicholls, a 14 year old Comox Valley resident was on her way to visit friends when she vanished. A witness last saw Lindsey walking east on Royston Road from her temporary foster home towards Courtenay at 10:30 am. At the time Lindsey was 160 cm (5’ 3”) and weighted 51 kgs (113) with long blond hair and green eyes. She was wearing blue jeans, white shoes, a khaki silk top and a blue and pink checked shirt. To date hundreds of tips have been forwarded to the police. These include possible sightings though they have never been substantiated. Investigators are asking anyone who may have information regarding Lindsey and her disappearance to contact the proper authorities. Anyone who has information is asked to call the Comox Valley RCMP at (250) 338-1321 or Crimestoppers at 1-800-222-8477. Although I can’t help being hopeful that Lindsey may still be alive and well, my search for answers has convinced me that the need for a national Missing Person and Found Remains databank is urgent. I have encountered people across Canada who are working hard to make this databank a reality. These people work for organizations searching for missing people, trying to identify remains, fighting violent crime or helping victims of crime. These are the front line people who understand how important and valuable this tool could be. I believe that Canadians will be as shocked as I was when I realized I could not provide my own DNA sample to be placed in a national databank. If Lindsey had met with foul play, she could be identified through my DNA. My hope was that once she was identified, the murderer would be caught. There are over 6,000 unidentified DNA profiles in the National Crime Scene index. A large number of these samples are undoubtedly victims - victims that could be identified through DNA. So you see, this legislation is not just about finding missing loved ones. This legislation will link victims to crime scenes and give the police the information they need to investigate crimes and keep violent criminals off the street. If you take the time to read some of the articles in the archive section of this website, you will see that the campaign for this legislation is gaining momentum. The legislation, Bill C279 (affectionately known as Lindsey’s Law), was tabled as a private member’s bill. I have taken this as far as I can – I am now asking for your help. The next step is to let your Member of Parliament know that you support this legislation. One of the best ways to make sure they are aware of the bill is to ask them specifically how they plan to vote and why. Please click HERE and use one of the templates to write a quick letter or e-mail. As the mother of Lindsey Nicholls, a teen who has been missing since 1993, I have been lobbying the federal government for several years to include a missing-person and unidentified-human-remains index in the current DNA databank. A public consultation process has been launched, as the government is asking Canadians about this issue to shape public policy. The deadline is June 30. I am asking people to visit my website, http://www.lindseyslaw.com/ , if they have decided to support this effort to change the law. I hope they will also forward this information to friends and family across Canada. I was shocked to learn that Canada does not have a missing-person and found-human-remains index in its national database. How can the government justify sending forensic experts to Asia during the recent tsunami disaster to identify those dead and missing when it refuses to identify hundreds of human remains found right here in Canada? I was recently in Ottawa, where I was invited to give a presentation to the public consultation committee. During a tour of the National DNA databank facility, I saw the state-of-the-art facilities and software systems that were developed to handle this change in policy. All they need to do is turn it on. I believe that we can influence the outcome and I hope people will take a few minutes to add their voices to mine. I want to flood them with responses so that they will have no excuse for dragging their feet any longer. The specific request should be made that the missing-person databank be made national and be compared to the crime-scene index in order to identify victims and serial offenders. I deserve to know if Lindsey's remains have been found but not identified. Perhaps her DNA is sitting unidentified in a crime-scene index. A Surrey family is fearing the worst after an honour-roll student who may have fallen in with the wrong crowd didn't make it home after a fender-bender on Saturday night. Gaganpreet Suveen Sandhar, 17, smashed up his father's 2001 Toyota Corolla at about 11 p.m. in a possible street-racing accident near 170th Street and 82nd Avenue in Surrey, Gaganpreet's sister, Randeep, said yesterday. The teen and the car are missing. Gaganpreet -- a graduating North Surrey Secondary student -- was hanging out with about half a dozen teens who are "a bad influence," Randeep said. She described her brother as a "quiet guy" who doesn't drink or do drugs and only recently started staying out late on weekends. "This is very out of character," she said. "He's been changing over the past few months, but he's a good kid and has kept up with his school work. "I have no idea why my brother was hanging out with those guys." After the accident, the group drove to the McDonald's restaurant at 156th Street and Fraser Highway in Fleetwood, according to Randeep, who spoke to the teens. They told her about the street racing and said Gaganpreet left at about 1:30 a.m. At 2:15 a.m. he called a friend on his cellphone and said: "I'm home now, don't worry about me," Randeep said. He wasn't home in the morning. "Even if he was going to be home from school five minutes late, he would call," said Randeep, who reported her brother missing at 4 p.m. Sunday. She couldn't report it earlier because police said not enough time had elapsed. Surrey RCMP Cpl. Roger Morrow said police are "working very diligently" to find Gaganpreet. Family members have flown in from Indiana and Toronto to offer help and support to the Sandhars. Randeep was at her brother's school yesterday, putting up posters and urging his classmates to come forward with any information. "There's been no tips, no clues, no leads, absolutely nothing," Randeep said. Gaganpreet's graduation ceremony was last Thursday; his provincial exams are next week. Gaganpreet is six feet one inch tall, 215 pounds with black hair and brown eyes. He was wearing blue jeans and a black summer jacket. · Missing Since: June 17, 2006 from Surrey, British Columbia. 2001 Toyota Corolla with British Columbia License number 231 FJJ. Gaganpreet was last seen on the evening of June 17th, 2006, in Surrey. 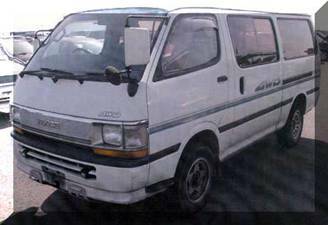 His car, a 2001 Toyota Corolla, is also missing. Was reported missing in June of 2005, and was last seen on or about June 1st, 2005. Extensive inquiries have failed to locate her. Foul play has not been ruled out in her disappearance. Was last seen at the end of May, 1985 in New Westminster, loading his household effects into the back of his pick up truck, for his move to Kelowna. Apparently he never arrived in Kelowna, and was not reported missing for approximately a year. Investigation revealed that his pick up truck had arrived in Kelowna, and had been sold to a new owner. PROSICKY was never located, and no charges have been laid. · Clothing: black “G Unit” sweatshirt, black jeans and black shoes. On October 4, 2006, a 20 year old Chilliwack male, Brandyn DIRIENZO attended an apartment complex on Bole Avenue, in Chilliwack, British Columbia. DIRIENZO was not seen again by his family or friends and was reported missing to the Chilliwack RCMP. The Integrated Homicide Investigation Team is currently conducting an investigation into DIRIENZO’s disappearance and is treating the situation as suspicious. Foul play has not been ruled out. Prince George RCMP are asking for the publics assistance in locating a missing person. Mary Madeline GEORGE was last seen on July 24th, 2005 at approximately 6:00 pm. Mary was going to walk from Ospika Blvd to the Spruceland Mall Walk In Clinic. Mary suffers from a slight amnesia and depression. Mary GEORGE is described as First Nations female, 5'3" tall, 140 lbs with black hair and brown eyes. · Medical Conditions: Suffers from slight amnesia and depression. Mary was last seen on July 24, 2005, at approximately 6 PM. She was going to walk from Ospika Blvd. to the Spruceland Mall Walk in Clinic. VANCOUVER -- The girlfriend and family of a Vancouver man are worried for his well-being after he disappeared three weeks ago from his West End Apartment. Richard Tamassy, 42, was last seen April 15. A police spokeswoman said Tamassy was "going through a tough time in his personal life" before going missing. He might appear disoriented or confused, and anyone who sees him is urged not to approach him but to call 911 right away. Tamassy is six-foot-one, 170 pounds, with short brown hair and blue eyes. He is probably driving his white 1991 Toyota van, with B.C. plate 024 ALT. Tamassy has camped in the van in the past. The van Richard Tamassy is believed to be travelling in. The Burnaby RCMP are requesting assistance in locating a 55 year old Burnaby male, Terry BECKETT. Terry left his Burnaby home in a taxi on April 21st, 2008 at 9pm. The taxi dropped Terry off on 17th Ave, by the Edmonds sky train station and he has not been seen since then. Terry does have a history of depression and is not currently taking any medications. When Terry left his residence he gave no indication where he was going, but he does like to be in parks or bush areas. Terry does like the Foreshore Park off of Bryne Road. Terry does not have a history of going missing. Terry is a Caucasian male, 5 foot 11 inches, medium build, with blue eyes and black hair. His hair is usually in a pony tail and he is balding on top. Terry was last seen wearing a denim jacket, denim long sleeve shirt, and a black baseball cap. He does have decaying teeth and his eyesight is poor. There is still no news regarding Manvir "Munny" Sidhu, a 17-year-old Abbotsford Grade 12 student who went to bed at 10:30 p.m. on March 30, 2006. He hasn't been seen since. "We believe there are people out there with information regarding his disappearance," Abbotsford Police Const. Vinet said last year, on the one-year anniversary of Munny's disappearance. "We're urging those people to come forward." Every time he hears police have found a body, A.J. Sidhu wonders whether it's his younger brother. "My heart sinks," he said yesterday. "I just want police to hurry up and do the autopsy and find out if it's him. When it's not, we wait for the next body." It has been one year since A.J. 's brother, Manvir "Munny" Sidhu, disappeared from his family's home in Abbotsford. 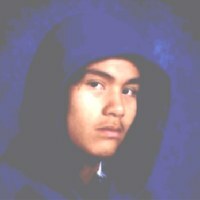 The 17-year-old Mouat Secondary school student was last seen going to his second-floor bedroom on the night of March 30, 2006. The next morning his mother found his bed empty, his bedroom window open. Since then, the Sidhu family has been caught in an "in-between place," said A.J. When Abbotsford police investigators call with questions about Manvir, the family fears the worst. A news story about the discovery of an unidentified body sends the household into a "frenzy" -- until they find out it is not the teen. "Not knowing just kills a person," said A.J. The Sidhu family has received no new information from police, who at the time of Manvir's disappearance confirmed the teen got along well with his parents and, to their knowledge, wasn't involved in any criminal activity. There are few clues in the case. Manvir's wallet and passport were found in his bedroom the morning after he disappeared. His cellphone was gone and a friend received a text message saying Manvir was travelling to India with a woman. A.J. doubts the authenticity of the message. Two weeks after Manvir disappeared, police said he was spotted in a surveillance video taken from Abbotsford airport. He picked up another man at the main terminal and left. "For the first week we felt like things were happening, but we haven't heard anything since then. It's been a really difficult year,"
Yesterday, Abbotsford police confirmed they are still investigating Manvir's disappearance. A.J. said the constant waiting has taken a huge toll on his parents. "They try to keep busy, but this has aged them five years in one," he said. A.J., a rapper, deals with his brother's disappearance in his music and the 28-year-old has had his younger brother's name tattooed on his back. "I miss hanging out with him. I miss having him at my side. Instead, I wonder if he's still alive," he said. "I think the chances are 50-50." To mark the one-year anniversary of the day he disappeared, family and friends gathered at the Sidhu home yesterday to pray for Manvir. "My biggest hope is that he'll return home safely and alive," said A.J. "But if he's still on this Earth or if he's not, I know the man upstairs is with him." If Manvir is alive, his family is hoping the teen will contact them. "If he's out there and he feels guilty for not coming home, he needs to know we'll forgive him 110 per cent. We love him and all we want is to have him back. We don't want to go through another year like this," said A.J. Police are asking the public's assistance in locating Kelly Thomas SPICER a 50 yr old male resident of Squamish, B.C. SPICER was last seen at the Klahanie Campground on April 14th, 2008. SPICER is described as a Caucasian male, 5'7" tall, 150 lbs of medium build with black and grey balding hair. The Integrated Homicide Investigation Team is assuming control of the SCULLION missing person investigation after information learned by investigators suggests that he has been met with foul play. Investigators are hopeful that additional tips will continue to come in to assist in moving this investigation forward. Tips from the public are often times the key to a successful investigation. Investigators have received some information on possible locations of Michael SCULLION and will be following up those leads today and throughout the weekend. Additional information or tips will be helpful to investigators at this point in the investigation. If you have information on the whereabouts of Michael SCULLION, or if you may have witnessed the altercation outside the Agassiz Crossroads Hotel shortly after midnite on Thursday April 10th, you are asked to call the IHIT TIP Line at 1-866-373-7886 the information you give will be treated as confidential. If you wish to remain anonymous please call CRIMESTOPPERS at 1-800-222-TIPS. On Thursday April 10th, 2008 in the early morning hours, Michael Scullion, age 30 of Chilliwack BC, was in an altercation outside the Agassiz Crossroads Hotel located at 5936 Lougheed Highway near Agassiz, BC. He was with friends at the Hotel Pub and when they came outside to find him he was gone. Scullion was reported missing to police on Thursday evening and all attempts to locate him at this time have failed. Police are investigating this as a missing person case and are also investigating the altercation that occurred where Scullion was last seen. Foul play has not been ruled out. Scullion was last seen wearing a Charcoal coloured hooded sweatshirt with a light grey pattern on the front, blue jeans and white runners. He is described as a Caucasian male with short brown hair, and had two days facial hair growth when last seen. Scullion is 5’11” tall and 180 lbs. Scullion failed to show up for work and did not collect his pay check, which is highly out of character for him. He has had no contact with family or friends that police are aware of. The Coquitlam RCMP is seeking the public?s assistance in locating Kenneth Shigehiro. He was last seen on March 4, 2008 around 10:00am at his Port Coquitlam residence and has not been heard from since. He is described as a 46-year-old Japanese male who is 5'10", 220lbs with dark brown hair and eyes. Mr. Shigehiro suffers from depression and requires medication for his condition. He frequents Rocky Point in Port Moody and is known to travel to North Vancouver. Anyone with information on Kenneth Shigehiro's whereabouts please contact the Coquitlam RCMP at (604)945-1550. Kelowna, BC: Kelowna Rural RCMP are requesting the public's assistance in locating John Ernest PATRICK. PATRICK was reported missing from the Kelowna area on April 3rd, 2008. PATRICK was last seen by family on March 21st, 2008 (Good Friday) when he stated he was going to a friends residence in the Kelowna area. If any member of the public has knowledge of PATRICK's location or how to contact him, please contact the Kelowna RCMP at 762-3300. 100 MILE HOUSE, B.C. – RCMP said on Friday that a two-year-old missing person case in the B.C. Interior is now being investigated as a homicide. Derek Kelly, 31, of Langley, was last seen at a New Year's Eve party in the area of Bridge Lake and Highway 24, near 100 Mile House, on Jan.1, 2008. Although classified as a missing persons file, the matter is being treated as a homicide, the RCMP said, in a news release Friday. RCMP spokesman Cpl. Dan Moskaluk no charges have been laid in connection with the homicide of Kelly. He said in the spring of 2008, investigators searched a property in the area and found "valuable evidence" that has advanced the case. "The investigators are confident in saying that the outstanding witness evidence could very well unlock the puzzle." Five months after he went missing, the family of a Langley man still haven’t given up hope. Derek Kelly went missing in the Cariboo on New Year’s Eve, and hasn’t been seen or heard from since. Leanne Kelly said her 31-year-old brother Derek, who goes by the name “D,” had been working in Port Hardy on construction when he made the trip to the Cariboo Dec. 30 with a new girlfriend and some friends and acquaintances. Leanne said there were at least four and perhaps as many as eight in the party. Those friends returned to the Lower Mainland without Derek and didn’t notify the authorities or his family that he was missing. On Jan. 16, the family in Langley reported him missing to the RCMP; the detachment’s serious crime unit has conducted an extensive investigation but has not been able to locate him. Leanne said her family members are all anxious to know what has happened to Derek. “He is loved and missed by all our family and friends,” said Leanne. Meanwhile, a memorial cross has been demolished and missing person posters have been ripped down at Bridge Lake, near 100 Mile House, where Derek was last seen. The memorial was erected by Leanne, who said she put up the cross March 29 on Highway 24 with a rosary and a guiding light stone, to help her family find some peace. Sometime between April 24 and 26 that cross was demolished and spread over the ditch. Leanne said she wonders if this was random violence or if the cross and posters are reminding someone in the Bridge Lake area that Derek is missing. “For me personally, it’s a little suspect,” said Leanne. The investigation has been turned over to the North District Major Crimes Unit. Langley RCMP investigators were up in 100 Mile House several weeks ago, and a decision was made to let the area police division lead the case. “It’s difficult to conduct an investigation from that distance,” said Langley RCMP spokesperson Cpl. Peter Thiessen. Thiessen wouldn’t release what direction it has taken or whether there have been new leads. He is described as 32 years old, 5’11, 170 pounds, with short dark brown hair and blue eyes. He has Celtic tattoos on his upper shoulders and back, a Libra lion on the centre of his chest and an “Irish Pride” script tattoo on his inner right forearm. He was last seen wearing a black hoodie with silver or grey markings, jeans and black Adidas runners. Anyone who may have seen Derek or have information about him is asked to call the RCMP or CrimeStoppers at 1-800-222-TIPS. He is one of a growing number of young, muscular tattooed white men who have gone missing in the past while. Burnaby resident Kellen McElwee went missing from the Walnut Grove Keg restaurant on March 19 and hasn’t been seen since. His parents have put up a $50,000 reward for his safe return. His family and police have heard nothing and the reward expires at the end of May. Langley resident Johnny Kahler went missing on Nov. 4 while partying and driving his 4X4 truck in the Stave Lake area of Mission. His truck was found stuck in the mud with the motor still running. Despite hundreds of people partying that night and a huge search for him the next day, he hasn’t been found. Teens from Mission and Burnaby have also gone missing over the past 12 months. The Kelly Family is looking for Derek Kelly. Also known as “D”. He was last seen on New Years Eve /New Years Eve Day. He was in the area of BRIDGE LAKE, BC. Bridge Lake being just off Highway 24 about 1 ½ hours from Kamloops, BC. He is a white male, 32 years old, 5”11, 170 lbs with an athletic build. He has blue eyes and short brown hair. He has several Celtic tribal tattooes on his shoulders around to the middle of his back, a band with a cross on his left bicep and “Irish Pride” on his right forearm. He also was wearing his gold chain with his large gold cross. He was wearing a black hoody with silver/grey markings, jeans and black adidas runners. He was carrying a small red and black Sherwood hockey bag. When some of the snow melts, we will be conducting a search in the next couple of weeks. We are asking the public to help us by either volunteering time or donations towards the Search Fund. On Facebook, simply search: Derek Kelly Missing Person and send off an e-mail with your details. A son, a grandson, a brother and an uncle is missing and we want him home! Thank you to those who have been supportive and praying for his return ! Langley: On January 1, 2008 Derek Kelly age 31 of Langley, was last seen in the area of Bridge Lake and Highway 24, close to 100 Mile House BC. He was reported missing to the Langley RCMP by his family on January 16, 2008. An extensive investigation by the Langley RCMP Serious Crime Unit has not located him. Anyone that may have seen or know the whereabouts of Derek Kelly are asked to call Crime stoppers at 1-800-222-TIPS or Constable Andrew Roy of Langley Serious Crime Unit at 604-532-3376.